After working hard all year round, you deserve to enjoy your summer vacation. Enjoying your time away from home is, however, going to be rather difficult if you fall victim to the dangers of the sun — there’s nothing like a bad burn to ruin your mood completely! The sun’s rays could even have a long-lasting impact on your health going forward, as well, which only makes them more treacherous. It’s better to be safe than to be sorry, which is why you should seriously try to avoid all of the pain that the sun has the potential to inflict upon you. To see how can avoid these dangers on your next vacation, be sure to read the following advice. Applying sunscreen is a given… right? Did you know that you actually have to apply sunscreen that suits your skin tone and type, though? If you didn’t, you do now, so there’s no longer any excuse for you not to take the correct precautions going forward. It’s incredibly important that you lather on the protection that is right for you. If you have a darker skin tone, for instance, you need only use a sunscreen that has an SPF of 15+, whereas, if you have a lighter tone, you need to consider going much higher and using a sunscreen of at least SPF 30. If you have a history of skin cancer, no matter your skin type, you, too, need to use sunscreen that has an SPF of 30+. For more information on what sunscreen is best for you, check out this article. Your eyes and the tender skin that surrounds them are incredibly susceptible to the damage that the sun can cause. Unlike a sunburn, however, this damage won’t just be felt in the short-term. Your eyesight could be seriously affected going forward if you do not take protecting them from the sun’s rays seriously. The best way to do this is to wear sunglasses — fear not as, today, prescription sunglasses can be purchased, meaning neither your sight nor your style need suffer. Check out the range of prescription sunglasses that Jackson Davenport, an optometrist Summerville, has to offer and find the perfect pair to showcase your style. 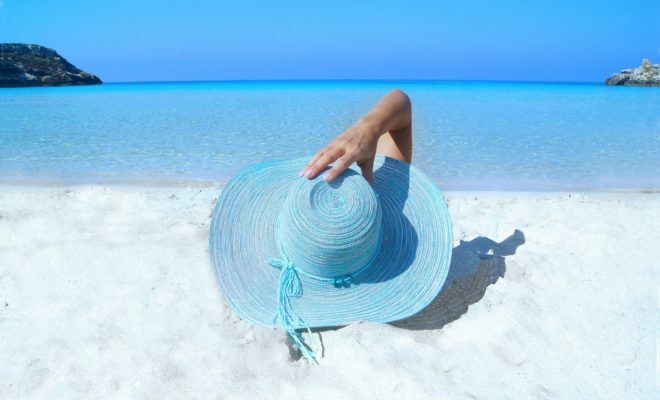 Of course, you don’t want to be covered up the entire time you’re on your vacation — due to how uncomfortable covering up from head to toe would be in the heat, doing so wouldn’t even be feasible. Covering up does, however, provide you with real protection against the dangers of the sun, so you should always have an item of clothing at hand for when the sun’s rays feel too potent. This is especially important when it comes to your head, neck, face, and ears, which is why you should always have a wide-brimmed hat nearby. During your next vacation, by all means, enjoy the sun and top up that tan of yours. Make sure, however, to remember all of the information and advice listed above.